After the last GeekOut Bristol Meet, I was given a lot of information about different things that are underway. Some are in the planning stages, others are in full swing. Some are in development, whilst others invite you out for a drink. Join Timlah as we look at some cool upcoming things around Bristol – and what you need to know about them! When you’re watching your favourite heroes, you want them to speak loudly and calmly. You want authoritarianism, you want leadership and you want a dependable character who sounds like they are fighting the good fight. Then you have the villains of the world who you want to not have any of those traits. Except perhaps leadership. Or perhaps dependability. Heck, I guess they should be authoritarian, too. Nevertheless, you don’t want the same from your villains that you want from your heroes, so what is it that makes the villains voice so important? Whether it be a nasty sounding nasally voice, to a deep raspy voice, the villains need to sound different in some way. Their words need to cut deep into you and need to make you feel belittled, or in some way uneasy. We’ve scoured media and we’ve come across our Top 10 villain voices. It’s not entirely fair to judge someone based on their actions. You don’t know what paths have brought them to act the way they do now, what hardships they have suffered to feel the need to enact hardship on others. Some people we label as “villains” are actually just normal, everyday people like you or me, that are just going through a hard time right now. Hell with it, bad-guys are bad-guys. Batman’s parents are dead, he got up off his bat-keister and started fighting for the little guy. Just because you lost someone, or maybe you’re under pressure to get money doesn’t give you an excuse to go around killing folk! Just be a millionaire genius ninja and do something positive with your life. Here’s some bad-guys who got a raw deal in life. Hoo, these guys are misunderstood no matter how you look at it, but unlike all of the other guys on our list, these spectacularly lanky gits are actually just trying to do the exact same thing as you. Think about it: One day you’re building a nice, large castle made out of stone, when suddenly one of the blocks of stone has disappeared behind your back. You’re a bit concerned needless to say, as you’re on a single player game rather than a multiplayer. There’s no way a Creeper exploded just one specific block: no. The Enderman is trying to build his very own castle, but the poor guy gets lost along the way. Then you’re rude enough to stare into his eyes? What’s wrong with you?! 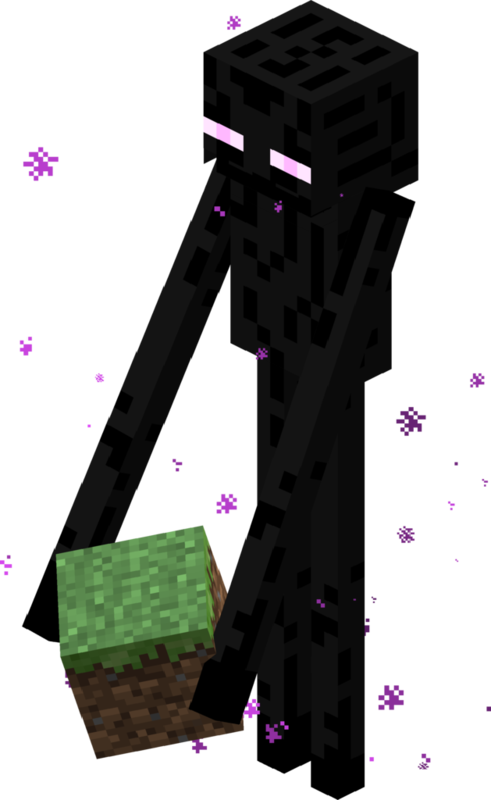 The Enderman just wanted to build his very own castle like you. Honestly, how mean can you get? Steve of Minecraft, you’re the real villain here! Join the Dark Side, they said. Well this one sparks many a debate amongst the Star Wars fandom and actually, I myself struggled somewhat with understanding where the Vadermeister really stood. Is he evil? In a sense he is, yes… But he’s evil insofar as that he wants to do something good. In other words, he has a reason for the evils he commits, that actually makes them somewhat understandable. SPOILER ALERT: So basically, he’s doing what he’s doing as he believes he’s doing right by the empire and his wife. Before he became Darth Vader, Anakin was filled with passion and raw emotion. This emotion was palpable to Palpatine (get it?) and he would manipulate this to make Anakin, or indeed Darth, to follow his orders almost blindly. 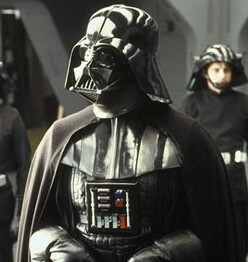 Perhaps Vader isn’t as truly evil as we all think. Sinister artist and sculptor of twisted scarecrows crafted of bone, wood and leather, Mr. Jones has never actually been seen exactly, but his work gets attention. Sent out to seemingly random members of the public and suddenly erupting in art galleries, when a couple stumble across his workshop in the scrublands of middle-america unsettling truths begin to emerge. He is masked in what appears to be human skin, seems possessed of some supernatural power that cannot quite be placed, and far beneath his shack there is an altar ringed in yet more of his dark effigies. However, it seems that the hunched and silent figure is working towards something far grander in his hidden temple far underground. As it transpires [SPOILERS] Mr. Jones is actually protecting us all from a nightmarish entity that nature itself fears, and the protagonist naturally stumbles around like a moron and releases it [SPOILERS OVER] but basically if you’ve read and enjoyed H. P. Lovecraft’s The Music of Erich Zann watch Mr. Jones for a modern retelling. Sarkhan Vol is a Planeswalker from a world of dragons called Tarkir. He’s got dragons in his blood in a very real sense, that of one Nicol Bolas, a particularly ancient evil mastermind (and dragon) who has used Vol to further his own interests across a vast number of universes, including igniting a war on Alara. He went mad shortly after witnessing his master’s destruction, and was then corrupted by the necromancer and demoniac Liliana Vess. Oh but wait! Bolas wasn’t dead, and then ordered Vol to the realm of Zendikar where he unwittingly triggered the return of the Eldrazi! Massive apocalypse monsters! It’s not his fault, he’s just a soldier with a particular fixation on dragons. He returned the spirit dragon Ugin to power recently, overthrowing Nicol Bolas in the process, and good job too. Ugin is now working on a coalition to put the Eldrazi back in their place, and Sarkhan Vol is back home on Tarkir enjoying the company of dragons with a sense of morality. Everyone remembers the pink blob walking around and terrorising the world, whom later went on to become a much more ripped “super” version before finally regressing (and more dangerously) into a “kid” version of himself. The whole of the anime world understands that Majin Buu, whilst was a threat, was pretty easily mistaken as an enemy. He was quite docile, in fact relatively friendly. He liked to eat human candy but that was because they would go for him first. He seemingly enjoyed eating. That was Majin Buus only really bad act, being a glutton. Okay, he later became the aforementioned Kid Buu, after being absorbed by Evil Buu to become Super Buu, Kid Buu being one of the most evil characters in the whole of the DragonBall franchise (sorry Frieza), but that too was only because of angry and frustration. Really, Majin Buu just wants to eat and have a good time. He also likes to play exploding video games. Don’t we all? Now the term “misunderstood” may have to broaden a little here. Doctor Lecter is so far beyond understanding that he is in fact beyond psychological profiling. The legendary cannibal is a cold blooded murderer and devourer of human flesh, but he is not without refinement. Not to be taken for a simple ravaging ghoul, Lecter takes his meals with care and consideration, the proper accompaniment of vegetables, side-dishes and wines, along with creative forms of preparation. Hannibal is also a lover and amateur practitioner of the arts, a scholar of many sciences including (ironically) psychology, he is a polyglot, and profoundly charismatic. You’d barely know he was a man eating sadist if one were to casually engage him in conversation from the other side of his plate-glass cage. Kearney Zzyzwicz is a loving father of two, who’s eldest was raised well enough that he’s now smarter than his dad. He comes from a broken home, a clinically depressed mother and violent father, but he’s never hit his own kids, just other people’s. Jimbo Jones is a morally grounded devout christian. He has strong views on the treatment of women and gender equality. There are questions surrounding his parentage, and coming from a well-off family, the suspicions may well be feuling his aggressive and rebellious behaviour. Dolph Starbeam was raised by hippies; he is highly intelligent, literate and multilingual, as well as being surprisingly nerdy in his own interests. It is implied that his bullying may be as a result of “abuse”. These three teens have been held back due to lack of academic progress, and have lashed out against others as a means of expressing themselves. But what if they were shown how to paint, write, or sing? Being raised with Pokemon is pretty abnormal, even in the world of Pokemon; But did you know the Sinnoh regions gang leader, N, has one of the nicest missions in the world? Sort of. 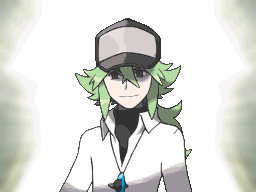 N, also known as Natural Harmonia Gropius, is actually not the real leader of Team Plasma, but he’s led to believe he is. Basically, throughout the course of the game, you’ll encounter N alongside some of Team Plasma and as per usual you’ll fight your new found rival. He’s pretty tough as far as rivals go and he seems to talk about redeeming Pokemon, saving them from humans. This is obviously a reference to the fact he was raised with Pokemon. However, it turns out that N is being fed lies by his adoptive father, Ghetsis. I’d rather not spoil this too much, but go ahead and play Black & White as well as Black 2 & White 2. It’s riveting story telling by The Pokemon Company. Fries is a personal favourite. Despite the bad pun of his name, the Arnold Schwarzenegger chrome-plated ice-dispenser in Joel Schumacher’s Batman and Robin does not accurately represent the suffering of the german cryogenicist. Having frozen his beloved wife Nora in order to keep her alive while he found a cure for her heart condition, an accident caused Victor to become Mr. Freeze. His research having been forcibly ended, Freeze steals vast sums of money and expensive scientific equipment in order to further his research alone. He must live forever in an exo-suit that keeps his temperature below zero, which he also uses to power a vast array of cold and ice based weapons. This uniqueness is not only a terrifying threat to standard law-enforcement and even the military, but it’s also testament to the extremes his research has taken him to. His every defeat leaves Nora Fries vulnerable to thawing, and subsequent demise, an outcome that would almost certainly drive him to murderous rage, and an icy apocalypse. Severus Snape. If you’ve not read the books by now, seen the films or heard the spoilers then you’re kind of doing yourself a grave misjustice. This is the story of Severus Snape: Potions Master, Dumbledor Murderer, but all around anti-hero. 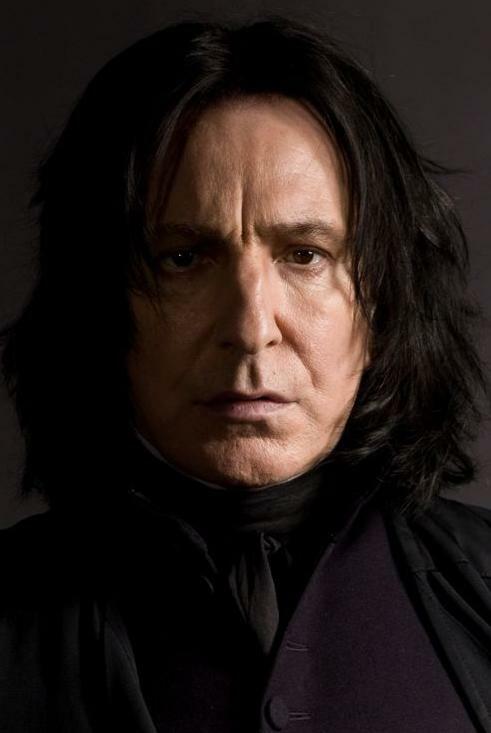 Depending on the book you read, Snape goes from nuisance, to full blown villain, to misunderstood anti-hero of the books. Severus Snape, as quoted by Harry Potty was probably the bravest man of the Wizarding world. Yes, Snape does indeed kill Dumbledore but that was actually a plan by Dumbledore all along. Snape is a death eater, Snape is all of the bad of the world in one quick go. But the whole time, he proves to be loyal to Dumbledore, even when he murders the headmaster. It’s crazy to think about Snapes past, but I implore you to read through all the books if you haven’t. Snape kills Dumbledore, but he also steals our hearts for being an amazingly misunderstood villain and hero. These poor folk deserve some credit, and not just these motley few. Perhaps pity is the only appropriate response to these forsaken souls, and in that regard we show our pity to those villains who couldn’t even make it into the list proper. Gather round everyone, as we join the Wreck-It Ralphs and Dr. Horribles of the world in our honourable mentions section. I’ll be honest, I never liked that puppet thing… It was always… thinking, and it can go anywhere. – Phone Guy, FNAF2. Guess what? This puppet that appeared in FNAF2 was actually one of the weirdest of the animatronics. He’s completely different to the rest of them, demanding some form of respect. Whilst he still goes out of his way to kill the guard in FNAF2, he’s not like them. Of course, The Puppet can’t really get into this list because all of the games truly are open to interpretation. Which is what makes the actual story so compelling. Especially since the current theory is that the latest game is following the The Puppet… But enough thinking about that. He just wants to make his films better, is that so wrong? Make them prettier, make the worlds richer, fill them with people, make the character’s better and more moral. Is it so wrong to inject a little politics into a universe that is clearly already vibrant and alive? Every artist of any medium or calibre knows that nothing they ever do will ever be finished. It’s really difficult to put something down even when you’ve thought to yourself five times over the last year that it’s finished. It’ll never be perfect, it’ll never be done, something’s always a little bit wrong, something can always be done subtly different, subtly better. The problem comes when that artist has already made something held by millions to be perfect, and you still can’t put it down. Mr. Lucas, you can stop now. Sometimes the best thing an artist can do for their work is to let it go and let someone else play with it. You may hate it, but that’s the real burden we all must bear at some time. And with that our list is done, and with it we may well have found a new appreciation for villainous types and all that they must suffer in order to become what they ultimately are. Have we missed anyone? Is your favourite missing? Will our blunders ultimately drive you to acts of criminal destruction and violence? Let us know in the comments down below, or over on Facebook and Twitter. And don’t forget to vote until someone hears your cries for help, for our next Top 10. As an aside, this might have been the hardest list we’ve done to date. We were up for a long time working on just getting the list made for this one… And we still loved making this, so thanks for getting involved folks!